Not long to go now. 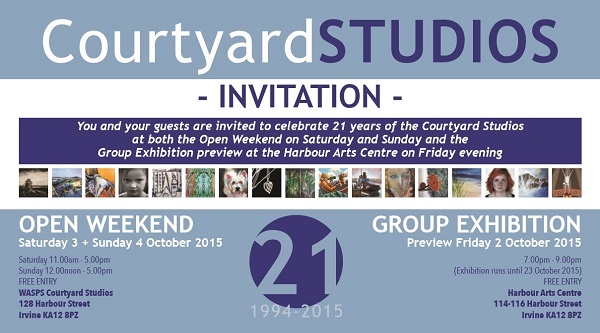 Just over two weeks until our annual Open Studios Weekend at the Courtyard Studios. It’s amazing how fast it has come around again and I’m already starting to try and work out exactly what work I’m going to display …… and work out how many days I’ll need to get the studio tidy, cleaned and ready for the event. In the past it’s taken me anything from a leisurely 5 days down to a mad rush of 2 days! I expect with all the work I have on right now that it’ll be the latter again this year! This, I think, will be the 13th year of the Open Weekend and I’ve taken part in all but the first one. I actually moved into my studio a couple of weeks before the event in 2003 and had the very different problem of finding enough work to fill the walls! Now, the studio is pretty full and I’ll have the problem of where to hide all the stuff not hanging. Oh well, it’s always a good excuse to have a clear out once a year. 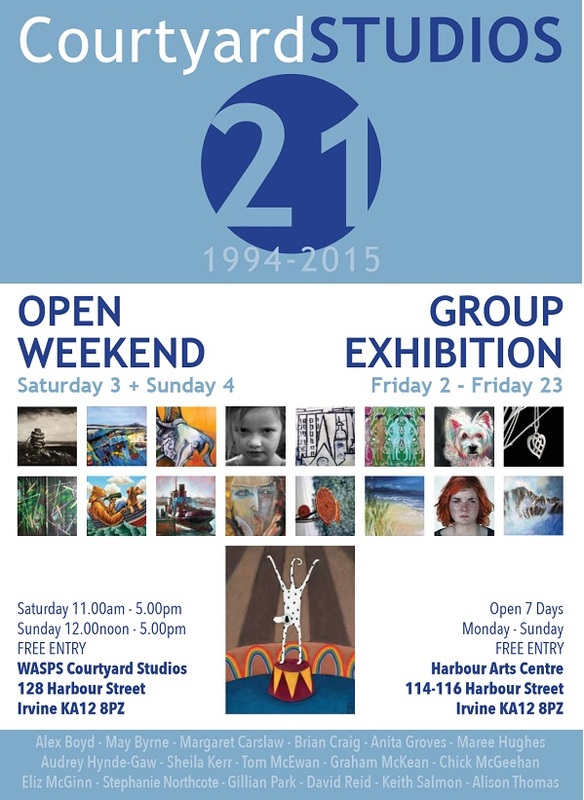 A group exhibition by artists working at the Courtyard Studios celebrating 21 years of creative practise at the studios on Irvine’s historic harbour side. Yes, that’s right, the Courtyard Studios have actually been in existence for 21 years and some of the artists have been here almost from the start. To celebrate, we are holding a group exhibition at the neighbouring Harbour Arts Centre to coincide with the Open studios Weekend. The exhibition will preview on the evening of Friday 2nd October 2015 and will run for three weeks. During the Open Weekend several of the Courtyard artists will be running workshops or talks at the HAC. So then, it should be a great weekend with lots to see and do and with plenty of great places close by to get food and refreshments, make Irvine Harbour side your place to visit on the weekend of Saturday 3rd and Sunday 4th October 2015.